Panel Explores 65th Anniversary of Brown vs. Board of Education Ruling. 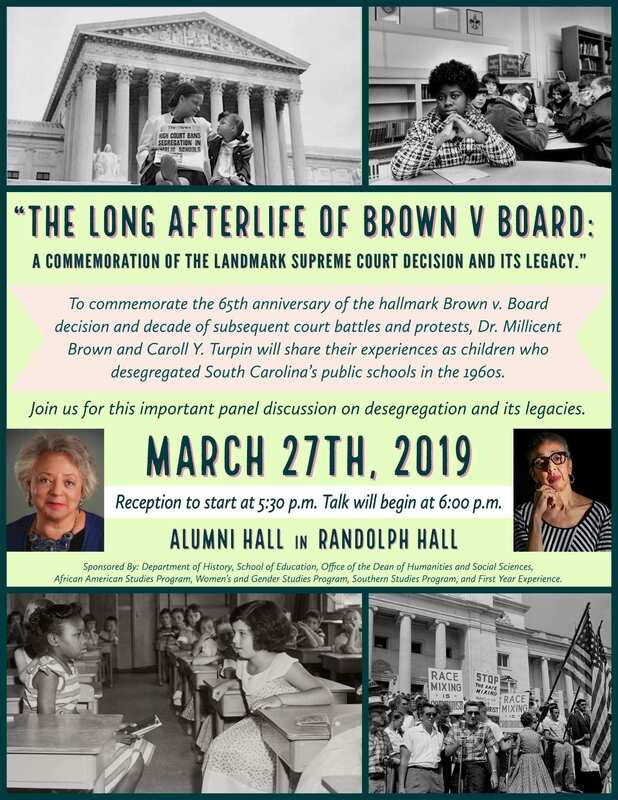 To commemorate the 65th anniversary of the hallmark Brown v. Board decision and decade of subsequient court battles and protests, Dr. Millicent Brown and Caroll Y. Turpin will share their experiences as children who desegregated South Carolina’s public schools in the 1960’s. Check out the article that was in The College Today! 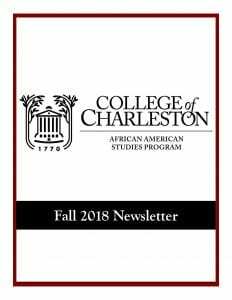 Are you a student artist at the College of Charleston in search of new inspiration and an opportunity to showcase your work? 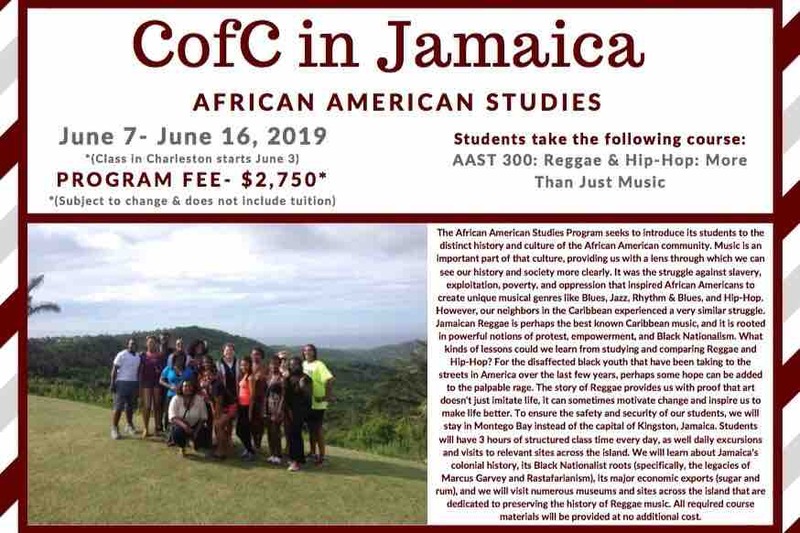 Then the African American Studies Program has just the opportunity for you! 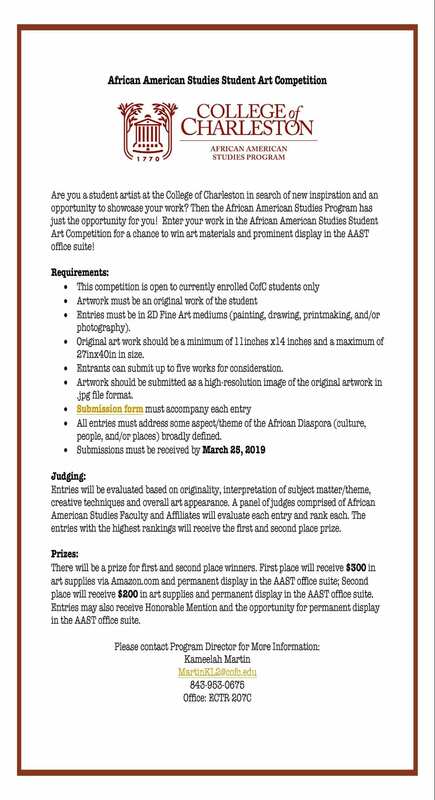 Enter your work in the African American Studies Student Art Competition for a chance to win art materials and prominent display in the AAST office suite! • Entrants can submit up to five works for consideration. people, and/or places) broadly defined. entries with the highest rankings will receive the first and second place prize. 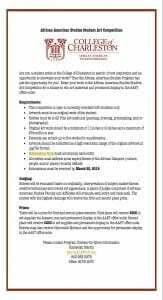 place will receive $200 in art supplies and permanent display in the AAST office suite. in the AAST office suite. 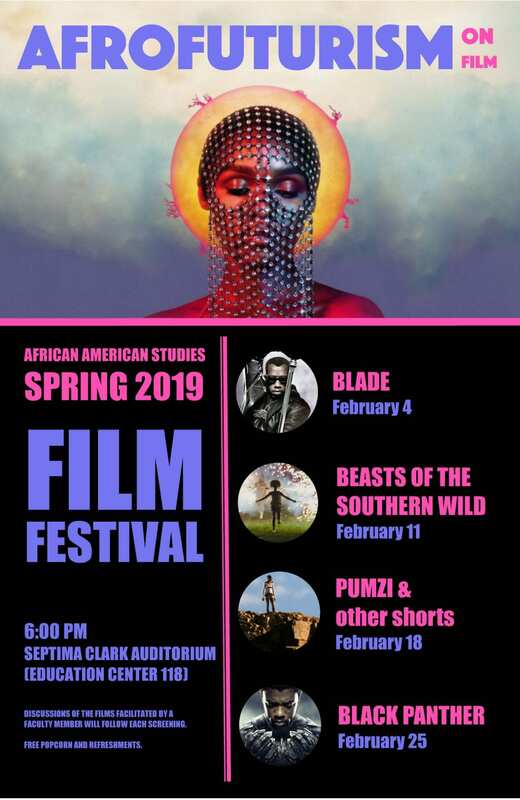 The African American Studies Spring 2019 Film Festival, “Afrofuturism on Film,” will feature four evenings of films that assert that, regardless of whatever else the future holds, the future is most definitely and defiantly Black. 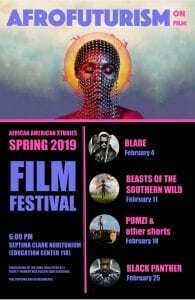 Though the films in the festival take us from Los Angeles and the Gulf Coast to outer space and Wakanda, all of them envision futures centered on the peoples and cultures of Africa and the Diaspora. 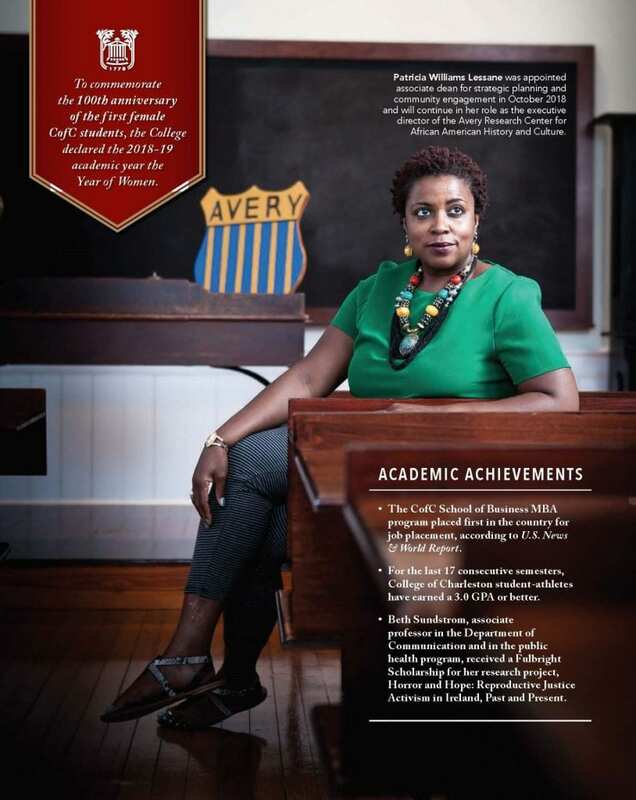 The screenings, which will be at 6:00 pm in Septima Clark Auditorium (Education Center 118), are free and open to the public, and each will be followed by a discussion led by a College of Charleston faculty member. Popcorn and soda will be served as well. * The “other shorts” will include Janelle Monae’s Dirty Computer, clips from Sun Ra’s Space is the Place, and excerpts of a Parliament concert from their original Mothership Connection tour. 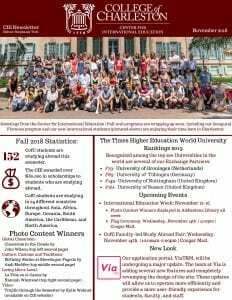 Check out these awesome video projects from students in Professor Matheny’s Hip-Hop: Evolution and Impact from Fall 2018! 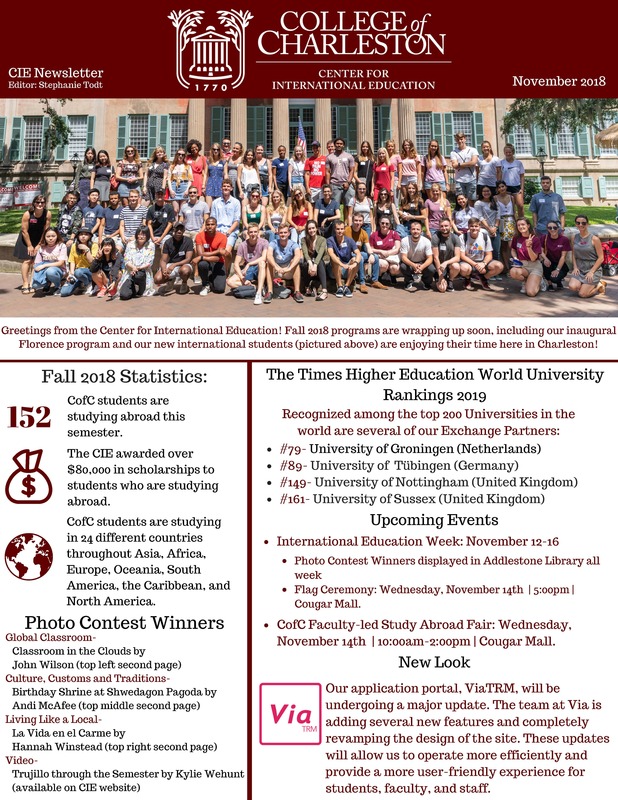 Check out these projects from students in Professor Matheny’s Intro. 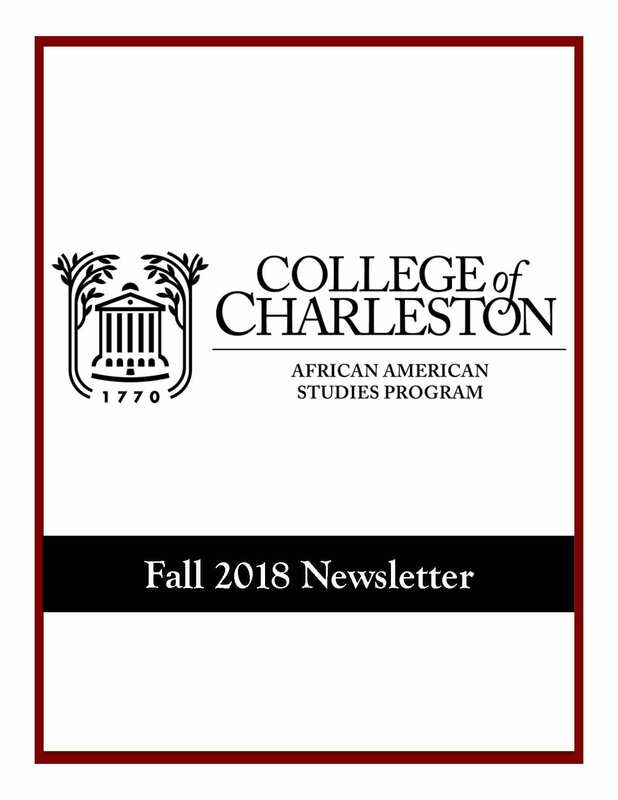 to African American Studies courses from Fall 2018!